So what can make your travel plan even better? Well, I say how about coinciding it with a music festival that happens in that particular city! Music festivals are surely a fun way to add a few bonus days of excitement to your travel plans. Not only do you get to be part of some of the world’s biggest festivals, you also get to experience a surreal atmosphere in all your festival finery, feathered head-gears included! There are so many music festivals happening every year, and news one cropping up all the time, so which ones are the best of the lot then? Take a look at the festivals below, and I’m sure you will find your pick. 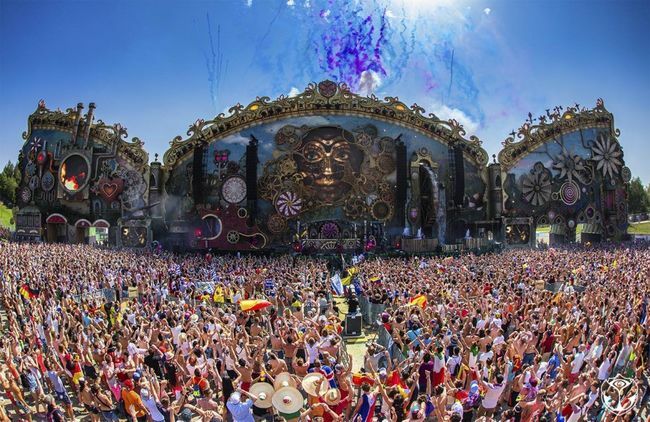 The most cliched and the most popular and the one I have to begin this list with has to be Tomorrowland- a festival that sees the biggest names in the world of EDM control crowds of lakhs with their tunes! This festival takes place in the town of Boom in Belgium and one can even book camping accommodation on the grounds itself in an area that is called Dream Ville! Why you must go: If you are an EDM fan, this is the place to be. All biggies from Skrillex to Armin Van Buren have played here. Or if you’d like to refer it to as Coachella Valley Music & Arts Festival- an annual music festival held at Indio, California. The festival is a huge hit with the glitterati of Hollywood as well, with each year seeing many familiar faces like the Kardashians, Nina Dobrev, Selena Gomez etc as part of the attendees! The best part about this festival is that it isn’t restricted to just one genre of music, but has different stages that cater to performances based on genres such as hip hop, pop, rock, indie, EDM etc. The biggest names in the music industry have headlined this festival and the prestigious list includes Beyonce, The Weeknd, Kanye West etc. Why you must go: Rub shoulders with L.A. glitterati and enjoy some great performances. Coachella is also know for the festival fashion one gets to see there. The SGP is an independent annual music and arts festival that takes place in Abbots Ripton near Huntingdon in England. Wgat started off as a small scale festival in defiance to the mainstream music festivals has now picked up on popularity and has seen a large growth in the number of attendees over the year since its inception on 2004. Unfamiliar names and underground indie artists make up the performance sets in this festival and that’s the beauty of it. Sometimes the festival does include a a few know names such as Florence and The Machine, Gorillaz etc. 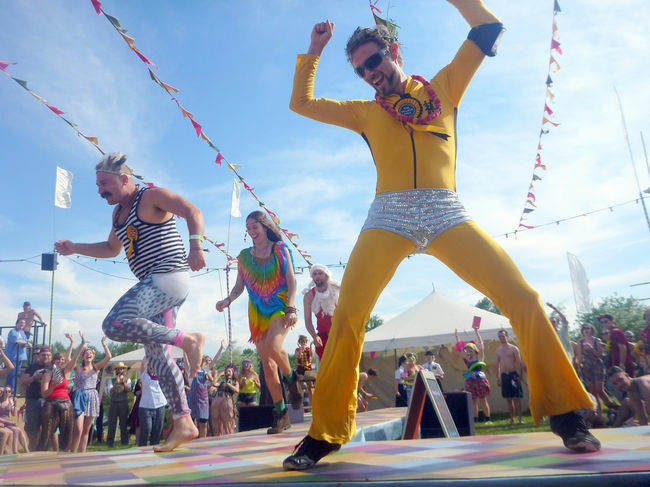 Why you must go: The debauchery at this festival is the stuff legends are made up of! India’s answer to music festivals has surely seen a change in reputation over the years and it has only gotten bigger and better. Though many may call it commercialized, you will definitely get your money’s worth when it comes to stage set ups, performances, artists and DJs. If that’s not enough, then the sunny beaches of Goa where the festival is held annually over a period of 4 days should more than encourage you to book your tickets! 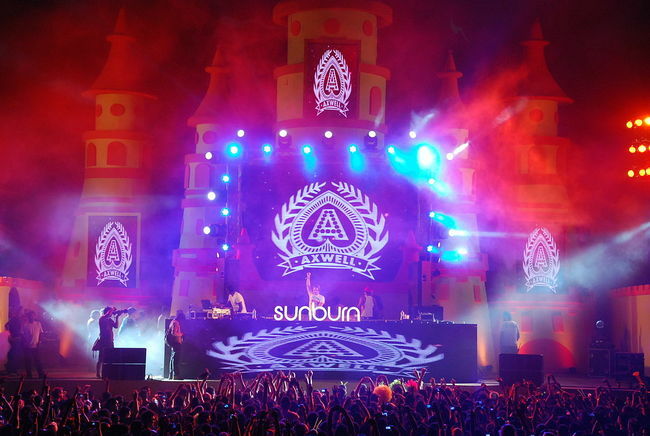 Why you must go: India’s biggest EDM festival and would you believe it if I told you that people from all over the workd travel to attend what’s happening in our own backyard! Founded in the early 90’s and relaunched in 2005, Lollapalooza has seen a range of artists perform, from Sound Garden and Rage Against The Machine to Kanye West and Lady Gaga. Lollapalooza started as a a traveling festival and did not happen in the same place every year until 2005 when Grant Park Chicago became it’s permanent venue in the USA. come 2010, Lollapalloza saw itself being organised in Santiago, Chile as well. 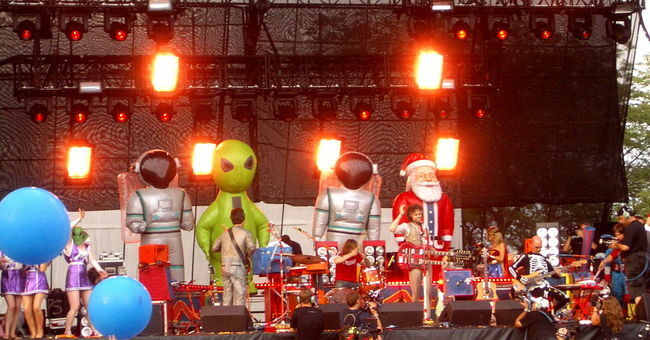 The first European Lollapalooza was held in 2014 in Berlin. Why you must go: Old school rock meets new age pop, there is something for everybody, plus its a crazy 24 hour party each day! So which one have you set your heart on?! Feeling Bad About Not Leaving Everything Behind To Travel? Well Don’t. Wonderful website. Lots of helpful info here. I’m sending it to several friends. Great piece. Keep posting such kind of information on your page. it and will individually suggest your website to my friends. I’m really impressed with your writing skills plus with the format of the blog. Keep up the nice quality writing, it is actually uncommon to come across a great blog nowadays.. Thank you Keli, keep reading! you’re going to a well-known blogger just in case you aren’t already. Thank you Lanette! Hope you enjoyed reading some other posts too..